Well as with all flowers, spring is the best time to get them in the ground, and a Rohn tower is no different. You must make sure to plant no sooner than the final frost, or there is risk of your antennae wilting and falling off the tower. Step one when building a tower is finding a good place to put it. I did that, so step two is DIGGING A HOLE. 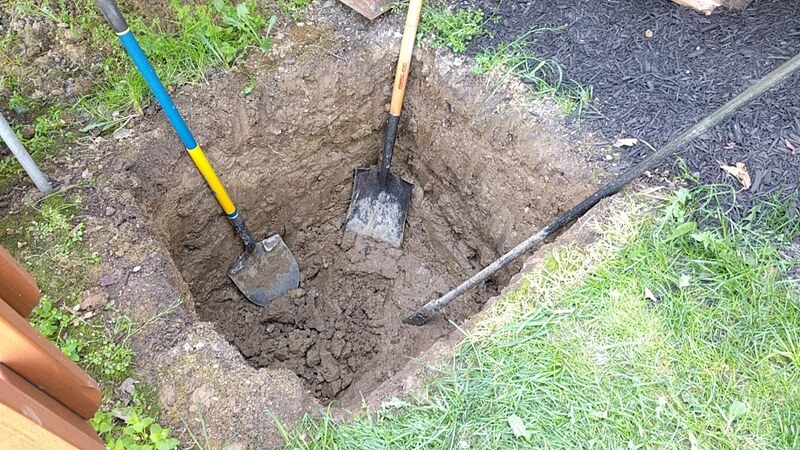 Oh, what is that third way to dig a hole you may be wondering? With your hands. Yeah, good luck with that. Success! Hole dug, and sides cleaned up so that only compacted “undisturbed” dirt is visible and will contact the concrete. This will keep the tower brick nicely planted and solid in the earth’s crust. 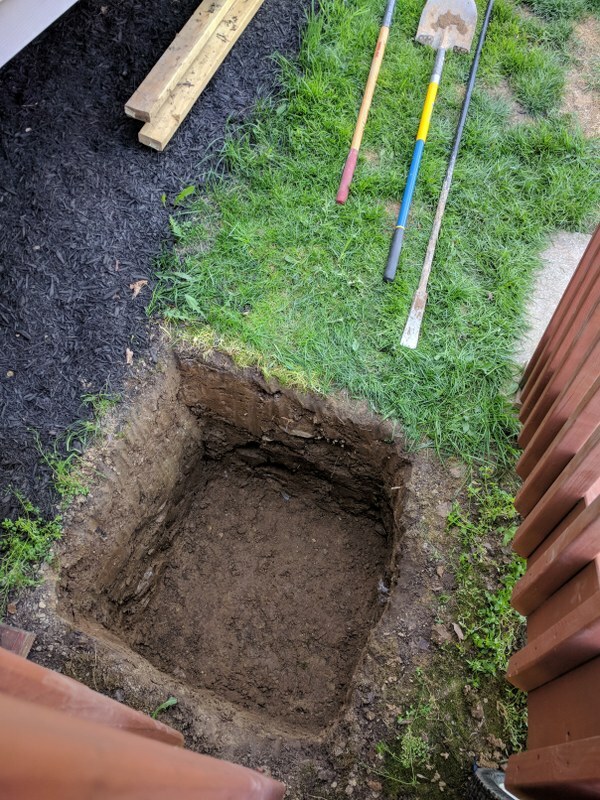 If you have loose dirt or a sandy substrate, go look elsewhere for hole digging information because I don’t know anything about that. I live in the Midwest, and here we have CLAY. The next step, so says the internet, is to build some manner of box around the top of the hole. This is so that you have a nice looking brick where it exits the crust, and to give the edges some nice sharp corners so that they are more solid and resistant to cracking and other stuff concrete does when you don’t pour it correctly. Bust out that bubble level and make sure that the tops of these boards are all mostly level, and slightly sloped one way or the other. Seriously this isn’t rocket surgery. The slope gives the water somewhere to run off the top of the brick so that it doesn’t puddle around the base of your tower legs and “rottemout”. Although the tower instructions don’t specifically say to do so, I am a perfectionist, as you can clearly see by the pile of random tower and antenna parts in the back of most of the pictures. 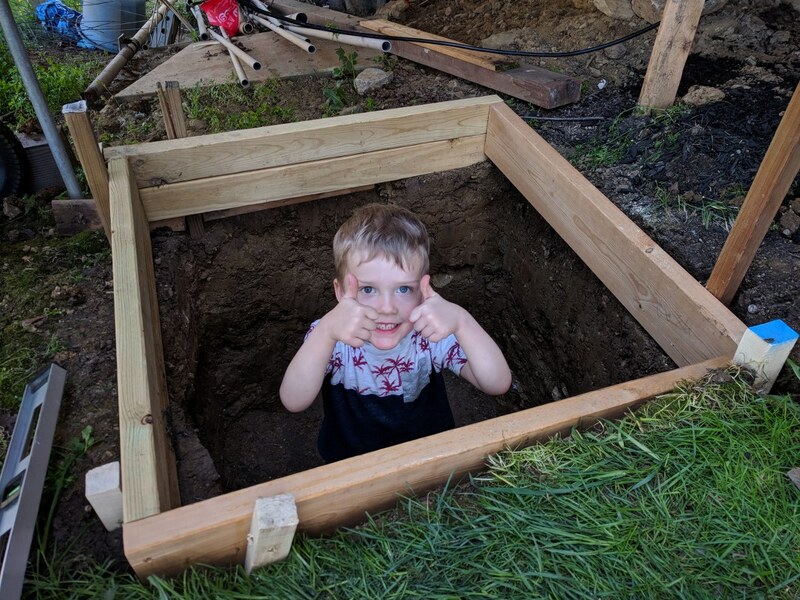 I lowered my calibrated child into the hole and measured the depth to make sure it cut mustard. Calibrated children are the old-school way of measuring tower crust holes, although depending on your child the depth may vary. Please make sure your child is removed before the next step. 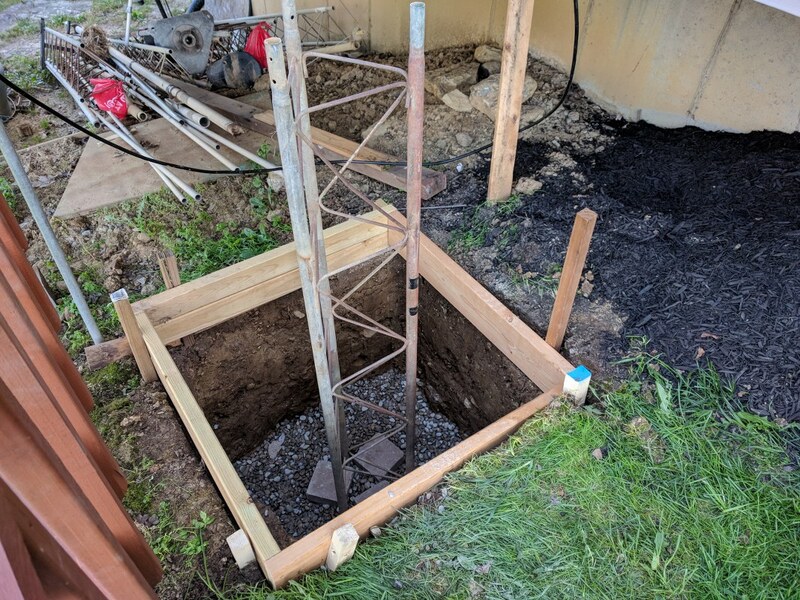 In order to allow any accumulated water a place to drain out from the tower legs, its a good idea to put 3-6″ of gravel in the bottom of your crust hole. Grab your rarely used tamper and tampify that gravel. Then set some bricks down in there and jam your tower in top. 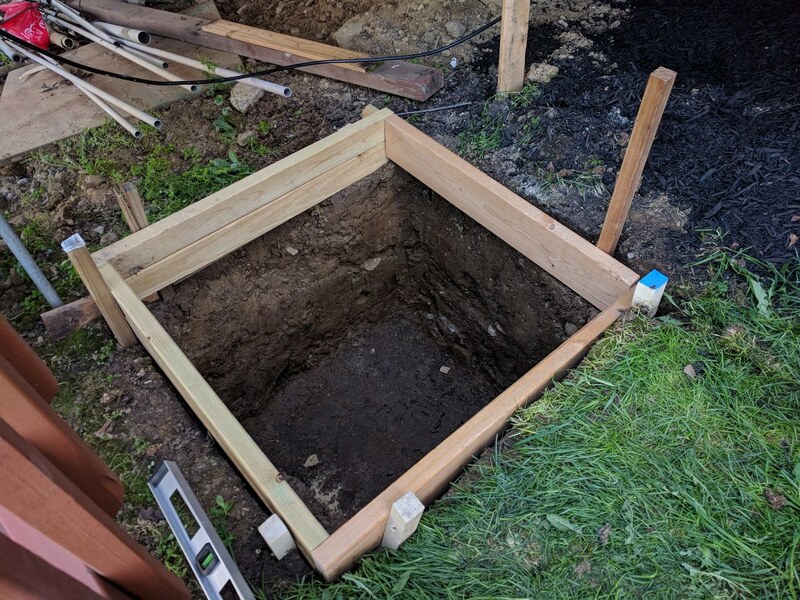 The bricks do nothing more than hold the tower above the bottom of the hole, and will really not provide anything structural once the concrete is poured. Which brings me to my next tip, you will never get these bricks back so make sure they aren’t your good bricks for when guests come over. They are about to be attached to the bottom of a 3500lb tower cube. And this is where I left off for the day. All in all a fine day’s work, and my body is aching so I will probably cry myself to sleep tonight. 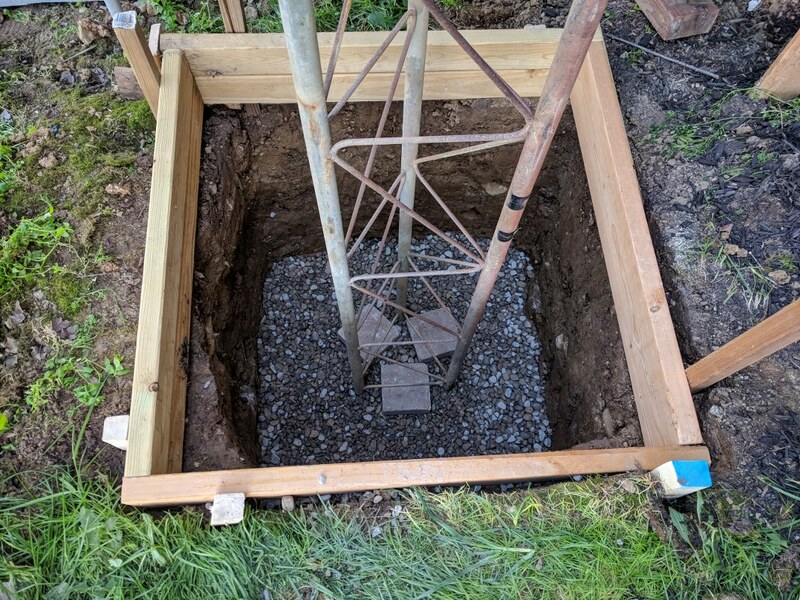 The only step remaining is to jam some rebar pieces in the hold and through the tower which will add structural strength to the concrete cube. Concrete and rebar have a symbiotic relationship. 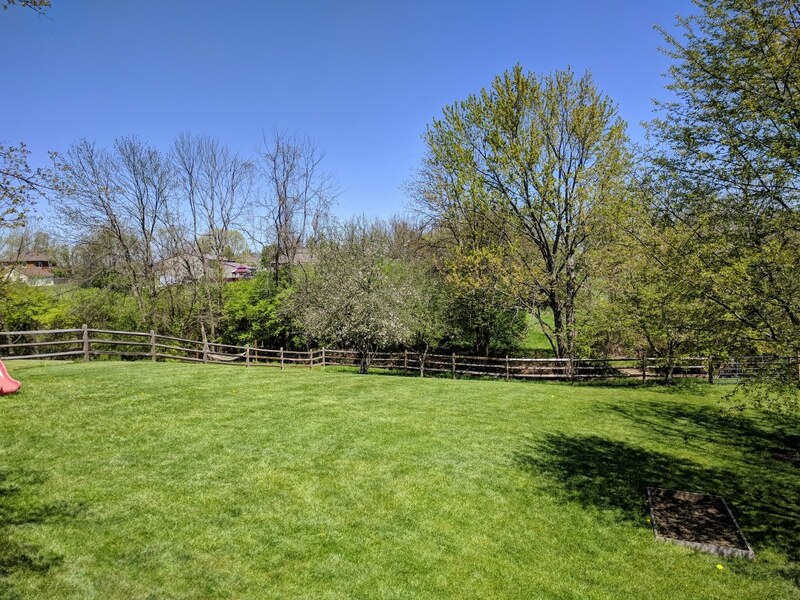 Without concrete, rebar would not exist. Without rebar, concrete would crumble and fail. Coming up, the liberal application of hand mixed concrete! Why hand mixed? Because I hate my body and wan’t to save a buck.. 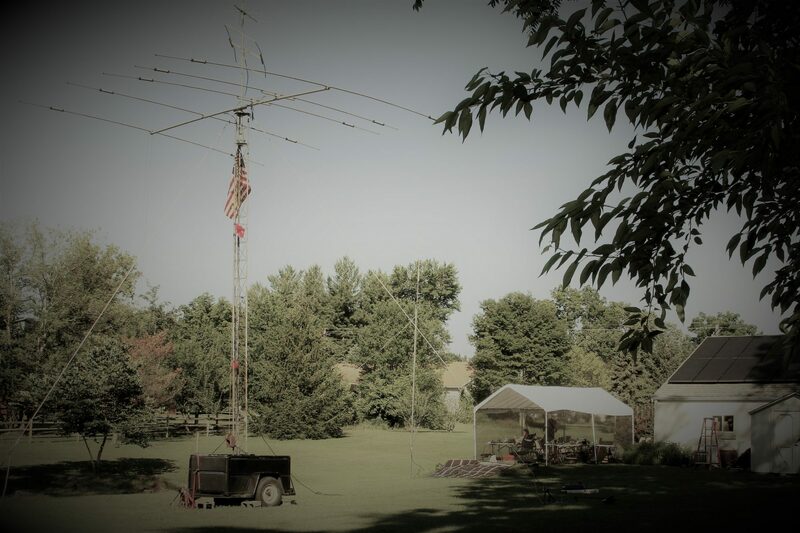 Previous PostPrevious Repeater Live Feed Functional!